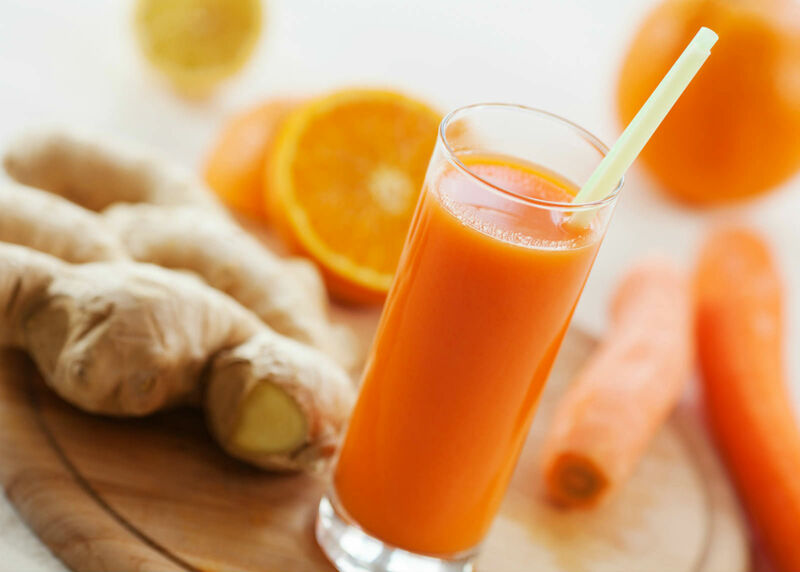 Overcome the Spring Allergies - Juice that Fights Almost All Allergies! Those who suffer from allergies know that they can be rather unpleasant. Spring allergies have recently become very common among population as more and more people are struggling to overcome allergy symptoms. Allergy is treated as a reaction of the body in situation of poor immune system and inability of the body to fight against substances, such as dust, pollen, pet dander, cosmetics and certain foods, that actually lead to the unwanted allergy symptoms. Take your life in your own hands and don’t let spring allergies cause you any headache. Dietary habits play vital role when it comes to allergy battle. Whatever you are allergic to, you can help yourself by making small but significant changes in your diet regime. Carrots and oranges contain powerful pro-vitamin beta carotene which is beneficial for protection of the mucus membranes of the mouth, nose, throat and lungs. Oranges protect your immune system because are an superior source of vitamin C, while mint is an excellent natural inhalation asset for the respiratory system that usually suffers when spring comes. Ginger in turn, reduces headaches that can result from frequent sneezing and besides that it is a powerful antioxidant. If you want naturally to fight allergy then you should consider including cucumbers in your nutrition. They aid flushing out all excessive allergens and can help you heal allergies in a simple way. Adding ginger to your meals or drinks can clear up congestion and relieve allergy symptoms.Mint leaves are another ingredient that should be on your daily menu as mint improves the lung condition and decreases the chances for developing allergy. Keep in mind that an appropriate nutrition can significantly help you get rid of allergies and it is an effective treatment without any side effects. Include these fresh ingredients on daily basis and bring relief to allergy suffering.Mix these natural ingredients, defeat allergy and make your way to better health. Wash the fruit well and peel it. Chop all the ingredients into small pieces. Then place them in a blender. Add mint leaves at the end. After that all the ingredients are blended. Store the juice in the fridge and consume it in the morning, before breakfast. Sufficient dose of this juice full with vitamins is a cup of tea per day.